The specially developed T-Player (transcription player) turns a LogDepot system into an easy Hansard system for creation of the written protocol. Many Parliaments, Court rooms, City Councils and Media Monitoring Agencies and other organizations rely on the LogDepot / T-Player combination to create their verbatim. 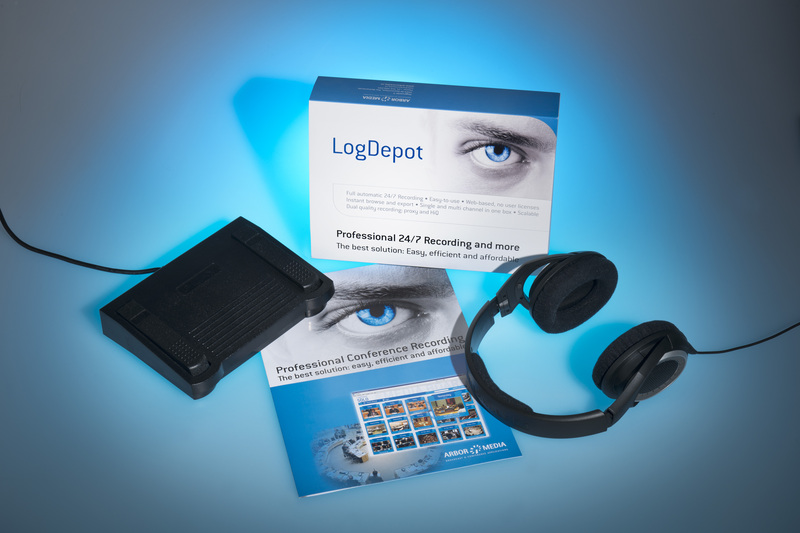 The T-player acts directly on the recorded audio of the LogDepot system. The display of the recorded video is - though not strictly necessary - usually much appreciated by the stenographers while creating their transcriptions. Available metadata (speaker names, agenda items) provide very useful additional information for the Hansard people. Of course, the T-player supports foot-switch control and allows every individual user to allocate foot pedals or keyboards short-cuts to one of the available functions.